The doctrine of regeneration belongs to the core of the biblical view of salvation and is a term that is shared by all Christian traditions in their respective accounts on what it means to be saved. To be regenerated by God is the act by which God himself re-creates life in a otherwise dead person. Regeneration is, therefore, the entry point of a saved life. Surveying the Biblical evidence, Packer summarizes it in this way: Regeneration “means rebirth (palingenesia): it speaks of a creative renovation wrought by the power of God”. On the surface, the theological meaning of the word is pretty clear and all Christian traditions acknowledge it. The difference between them is not so much on the word itself but the theological “worlds” in which they implant the word in order to make sense of it. A theological word is not a self-contained unit. Though it carries its own semantic weight, it is also defined by when and where it is found, the web of references which are associated with it, who is involved in enacting it as well as the practices that precede, accompany and follow it. In other words, regeneration as a word can have one meaning which is common to all, but regeneration as a doctrine may point to different theological directions depending on the way it is construed. 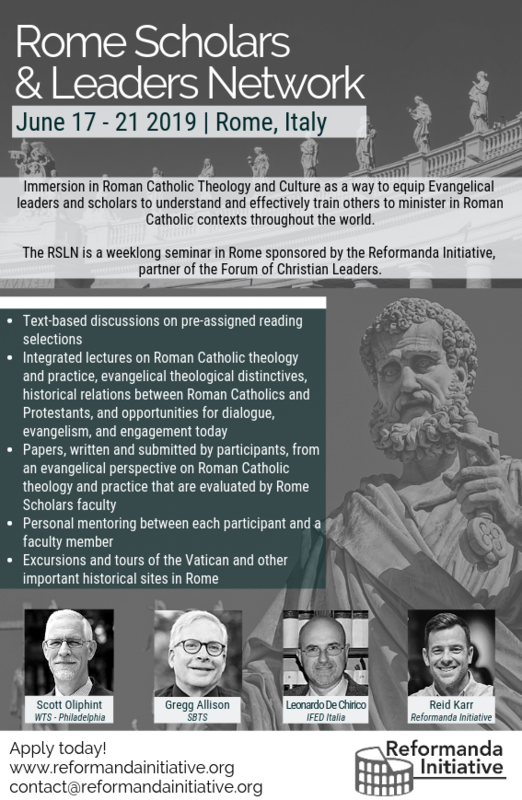 In what follows we will explore how Roman Catholicism understands the doctrine of regeneration especially as articulated by the 1994 Catechism of the Catholic Church. This magisterial authoritative source is a thoughtful and comprehensive explanation of the Catholic faith and is the best place to come to terms with what the Roman Catholic Church believes about regeneration. One way of pursuing our goal is to examine the vocabulary used by the Catechism as far as regeneration is concerned. There does not seem to be a specific and technical definition of the term, but the Catechism uses the word by associating it with other Biblical and liturgical words and expressions that contribute towards its definition. In doing so it approximately indicates the meaning of regeneration by way of connecting it to similar words. As a life-giving event, regeneration is related to “new birth” or “re-birth” (e.g. 1213; 1270). Therefore the Catechism translates the Greek-derived word (re-generation) into the birth-related words. In another metaphorical area, regeneration is linked to the transition from darkness to light (e.g. 1250) and to the inner renewal of one’s own self and purification from sin (e.g. 1262). Moreover, regeneration is further associated with entering the kingdom of God (1263). There are Biblical references here and there to support each meaning. What is most striking however is the relationship that the Catechism envisages between regeneration and the sacrament of baptism. More than its Biblical nuances and theological significance, it is this inherent association that ultimately defines the Roman Catholic understanding of the core of regeneration. As it is well known the Catechism is structured according to the order of the Apostles’ Creed (the profession of faith), followed by the presentation of the sacraments (the celebration of the Christian mystery), the Christian life including the ten commandments (life in Christ), and the life of prayer which is centered on the Lord’s prayer. In this overall framework, it is interesting to notice where regeneration is theologically placed and treated. It is not found in the section on the work of Christ nor in the section on the ministry of the Holy Spirit, but instead comes to the fore in the second part which deals with the sacraments of the Church. Doctrinally, then, regeneration, though organically related to the work of the Triune God, is specifically attached to the sacramental ministry of the Church. From a systematic point of view, the Roman Catholic theological map places regeneration under the rubric of the liturgy of the Church rather than in the chapter on God’s salvation. More specifically, it is the sacrament of baptism that plays a fundamental role in bringing regeneration about. It is in the context of baptism that the Catholic doctrine of regeneration is spelt out. Holy Baptism is the basis of the whole Christian life, the gateway to life in the Spirit (vitae spiritualis ianua),and the door which gives access to the other sacraments. Through Baptism we are freed from sin and reborn as sons of God; we become members of Christ, are incorporated into the Church and made sharers in her mission: “Baptism is the sacrament of regeneration through water in the word” (1213). The final quote comes from the 1566 Roman Catechism (II, 2, 5) which was published as a result of the Council of Trent. Notice however that no Scriptural reference is given to support the doctrine, but rather it appears as the combination of different Biblical words which are give a sacramental bent. Such an absence of Biblical support is telling. Indeed, there is no Biblical evidence to support such a weighty doctrinal statement. In the Catechism, baptism is seen as the sacrament which accords freedom from sin and re-birth as children of God. 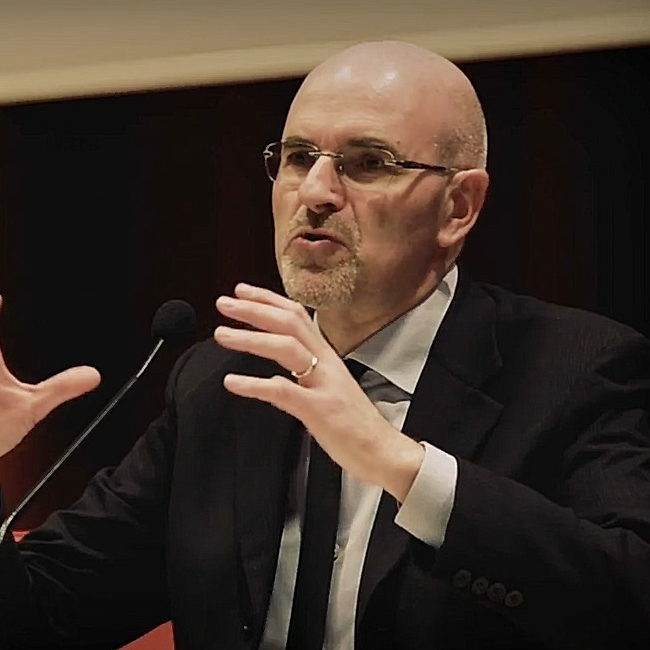 As regeneration is the result of baptism and baptism is administered by the Church, it is syllogistically evident that regeneration does not happen as an act of God’s grace alone, to be received by faith alone, but as an act mediated by the sacrament of the Church who enacts its intended result. This sacrament is also called “the washing of regeneration and renewal by the Holy Spirit,” for it signifies and actually brings about the birth of water and the Spirit (1215). This time the language comes directly from Titus 3:5, but fails to indicate that the Biblical passage puts the “washing of regeneration” in the context of God’s goodness and loving kindness, stressing that we are not saved because of “works done by us” but out of “His own mercy”. The focus of the whole passage is God alone working out His loving plan of salvation without any contribution on man’s part nor on the church’s part – any work of any kind. In the Catechism, however, it is the sacrament that “signifies and actually brings about” regeneration. It is the act of baptism that causes the new birth to occur ex opere operato (from the work done). The emphasis has shifted from the merciful God who regenerates out of His sovereign grace to the baptizing Church who performs the sacrament of regeneration. In other words, a major shift has taken place: from the graceful act of divine salvation to the participation of the Church in the saving act, and from the free gift of God to the ecclesiastical sacrament ministered by the priest. According to the Catechism, the time of regeneration is when baptism is administered. It is the baptized person that is regenerated and therefore enters the sacramental life of the Church in whose sacraments he/she will receive the fullness of salvation. It is through baptism that the person is forgiven from all sins (1263), made a new creature, adopted as a son of God, becomes a member of Christ, a co-heir with him, and a temple of the Holy Spirit (1265). It is in baptism that the person receives “sanctifying grace, the grace of justification” (1266) and is incorporated into the Church (1267-1270). It is baptism that is the sacramental bond of the unity of Christians (1271), therefore warranting the Roman Catholic view that Christian unity is based on baptism (even though the majority of the baptized ones do not show any sign of regeneration). This view of baptismal regeneration is part of the Roman Catholic view of the sacraments. The Catechism defines this theological framework as the “sacramental economy” of the Christian faith (1076). If one reads what the Catechism says about regeneration without grasping what the “sacramental economy” means, one will completely misread it. To put it succinctly, the “sacramental economy” is a view that binds God to act through the sacraments and therefore through the Church. Everything that God does, He does through the sacraments. His grace comes to us through the sacraments. His salvation reaches us through the sacraments. His work impacts us through the sacraments. The problem is not the recognition of the Biblical importance of the sacraments, but their exclusivity in terms of what God can do. In the background of the sacraments, there is always the Church that administers them, having therefore a fundamental role in mediating God’s actions. The word regeneration means new birth received from God, but the world of the “sacramental economy” makes it a Church affair because God is believed to bind Himself to work only through the sacraments of the Church. His grace is always a mediated grace through the Church. This point is crucial even beyond the specific topic under consideration. When Evangelicals deals with Roman Catholic theology, they tend to overlook the “sacramental dimension” of the Roman Church. They analyze common words, common concerns, and common language in an atomistic way and may come to the conclusion that the old divisions are over because the language is similar. For example, this is the case in the book Is the Reformation Over? by Mark Noll and Carolyn Nystrom. In a useful chapter which highlights the contents of the Catechism of the Catholic Church, the authors argue that “evangelicals can embrace at least two-thirds” of it (119), and that it stems from “common orthodoxy” based on the ancient Trinitarian and Christological creeds. Later, they admit that when the Catechism speaks of Christ, it interweaves Him to the Church to the point of making them one (147; 149), which is unacceptable for Evangelicals who consider the exaltation of a created reality an instance of idolatry. So, on the one hand, there is an apparent “common orthodoxy” and on the other, there is a profound difference on the doctrines of Christ, the Church, salvation, etc. Therefore, here is the key question: how can Evangelicals accept “two-thirds” of the Catechism if this document speaks of the (Roman Catholic) Church whenever it speaks of Christ, the Spirit, the Trinity, and regeneration? Evangelicals find it difficult to discern the “sacramental economy” in the Roman Catholic teachings and the result is that they easily misinterpret them, limiting their analysis to surface matters, failing to grasp the whole. Yet, the sacramental economy keeps the system together and makes it coherent. If one fails to appreciate it, he misses the whole point of it. 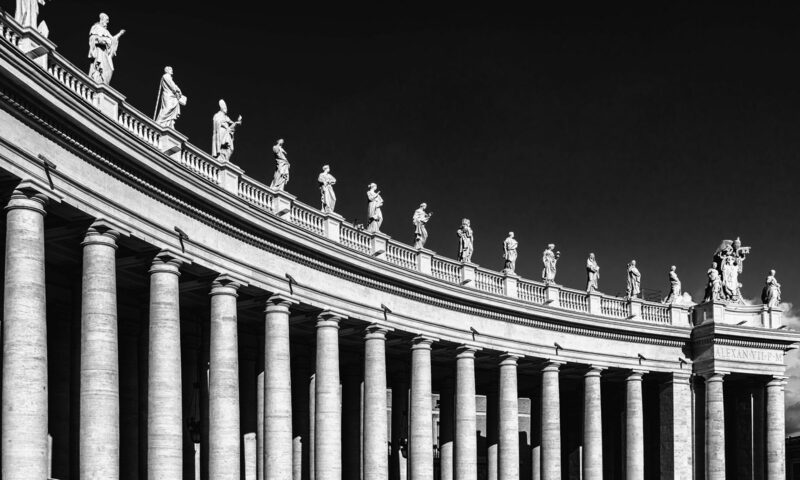 In dealing with Roman Catholicism, especially in times of mounting ecumenical pressure, Evangelical theology should attempt to go beyond the single, detached statements and seek to get a grip on the internal framework of reference Roman Catholic theology uses. Roman Catholic theology is more than the sum of its words. It is rather a complex, yet coherent system based on the “sacramental economy” whereby God is bound to act through the sacraments of the Church. Surveying the tenets of the Evangelical Faith, J.I. Packer and Tom Oden remind us that “Evangelicalism characteristically emphasizes the penal-substitutionary view of the cross and the radical reality of the Bible-taught, Spirit-wrought inward change, relational and directional, that makes a person a Christian (new birth, regeneration, conversion, faith, repentance, forgiveness, new creation, all in and through Jesus Christ)”. Regeneration is this inward change wrought by the Spirit that brings life to those who were dead in their sins. For the Catechism, this is a defective definition in that it lacks the reference to the “sacramental economy” whereby the Church that administers the sacrament of baptism that brings about regeneration. The Roman Catholics in defining regeneration use the same words but put them in a different world, that of a “sacramental economy”, one that has precluded Sola gratia. So the difference between the Evangelical and the Roman Catholic understanding of regeneration does not lie in some exegetical detail or theological minutia. Instead, it centers on nothing less than how God works out his work of salvation. J.I. Packer, God’s Words. Studies in Key Biblical Themes (Grand Rapids, MI: Baker Book House Co., 1988) p. 149. Quotations will be taken by Catechism of the Catholic Church (London: Geoffrey Chapman, 1994). The electronic text can be found at http://www.vatican.va/archive/ENG0015/_INDEX.HTM. This whole section of the Catechism echoes or quotes the Vatican II’s Dogmatic Constitution on the Church, Lumen Gentium, 11. These terms here are confusing for a Protestant reader: “sanctifying grace” is defined as “the grace of justification”, therefore significantly blurring sanctification and justification. Ecumenical advocates tell us that the 1997 unofficial document “The Gift of Salvation” and the 1999 official Roman Catholic-Lutheran “Joint Declaration on the Doctrine of Justification” reached a substantial agreement on sola fide. The reality is that the Catechism (which is far more authoritative than the just mentioned texts) keeps on confusing sanctification and justification, as the Council of Trent had done in the XVI century. In a more technical way, the Catechism speaks of the “sacramental economy” as “the communication of the fruits of Christ’s Paschal mystery in the celebration of the Church’s sacramental liturgy” (1076). One would need another article to begin to unpack this dense sentence. M.A. Noll and C. Nystrom, Is the Reformation Over? An Evangelical Assessment of Contemporary Roman Catholicism (Grand Rapids, MI: Baker Academic, 2005). James I. Packer – Thomas C. Oden, One Faith. The Evangelical Consensus (Downers Grove, IL: IVP, 2004) p. 160. Previous PostPrevious 63. La regeneración ¿sacramento o sólo gracia?